How to Book a Memorable Theatre Limousine Experience in Sheffield in five minutes flat. It’s not just Celebrities that deserve the red carpet treatment when they arrive at the theatre, You do too! At Sheffield Limousine Service, we feel that Theatre Nights should be treated as extra-special occasions that deserve that extra touch of class to make the night feel magical. 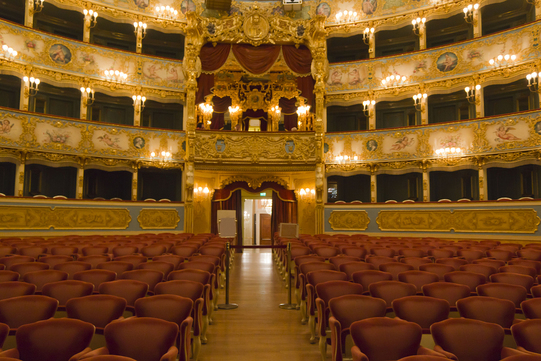 We aim to provide that extra magic touch from the start until the end of the evening when the curtain’s gone down. Sheffield Limousine Service can provide this magical experience you and up to fifteen guests. 1. We Know How to make an Entrance. At Sheffield Limos, our Chauffeurs have the local knowledge to ensure that you don’t get stuck in any traffic and miss the opening curtain. Whether it’s the City Hall, Lyceum or the Library Theatre, we will pre-plan the route from pick-up (various if required) to the venue. We’ll ensure that you arrive at the front entrance at the optimum time to savour that red carpet experience you’ve quietly always wanted. We know all the tricks, and our chauffeurs are professionals at ensuring that you make a Grand entrance on your special night. You’ll be really in the mood for the occasion after enjoying some champagne and canapés with some Brahms playing in the background. In creating such a stunning impression with your entrance, you’ll be in danger of stealing the spotlight from the cast. 2. Perfect Planning Preparation. After giving us your unique instructions for the night, such as a surprise pick-up for a special relative, you can leave the night to us. 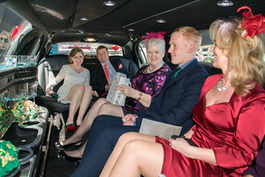 We have connections to ensure that you’re not only given a five-star champagne while in the limousine, but also on any scheduled stops that you may wish, where you’ll also be treated like a celebrity from the opening of the doors until send off and onto the next venue, relaxing with your favourite friends. ​3. No Queuing at the Theatre. 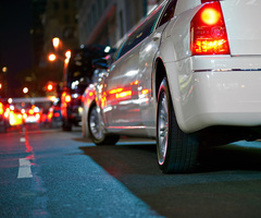 Our chauffeurs take care of all priority passes, so you don’t have to queue in the cold. We book in advance to ensure that you and your guests can step out of our Limo if front of the Theatre and walk straight past the queue. Everyone will be guessing who you are as you get that famous red carpet treatment. 4. Final Curtain Glow. Continue that after show glow while walking down the staircase and emerging into the night air, knowing that your stretched Limousine that you organised for your friends and family is waiting for you outside, with what always seems to have its own fanbase surrounding it (other concert goers admiring the class of it before they head off for the buses with the memory of the Show fading into the rain!) You meanwhile accept the smile and nod of the chauffeur, hat on, waiting with door open and champagne in hand. Your journey home, sipping cold champagne discussing your favourite parts of the show is the perfect way to end the perfect Theatre night. Sheffield Theatre Limo Service strives for this excellent service to make this an extra special night for all concerned, so you’ll certainly be the stars on the night. To make this a reality, simply fill in the form on the right-hand side for a ‘No Hassle Guaranteed’ FREE quote (We Promise). Sheffield Limos are proud to offer the best Theatre experience at affordable prices. Or call today on 0114 303 1540 and ask for any offers that we might be running.